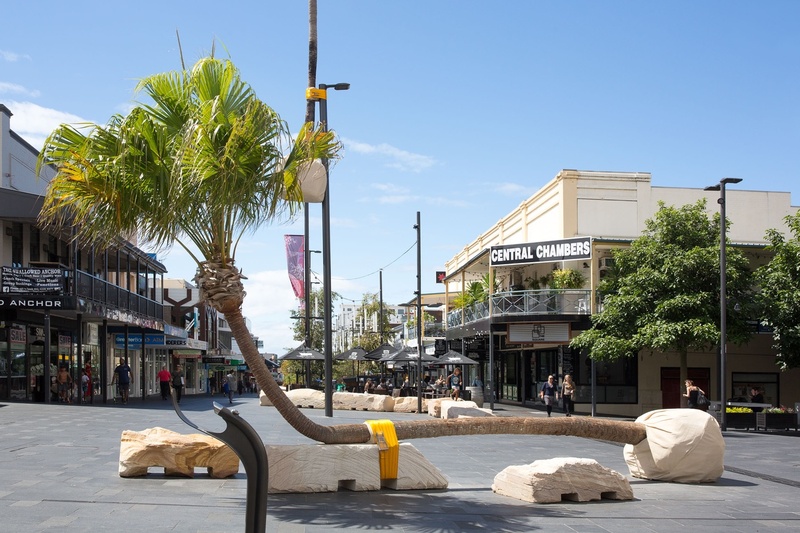 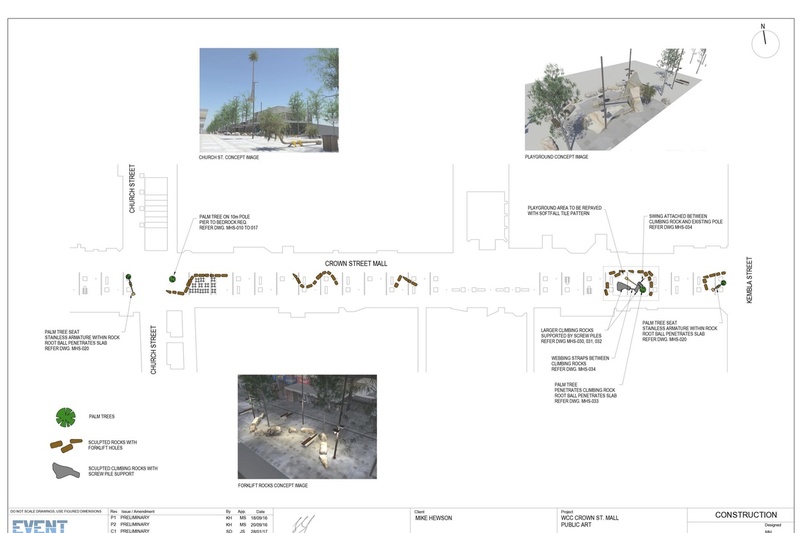 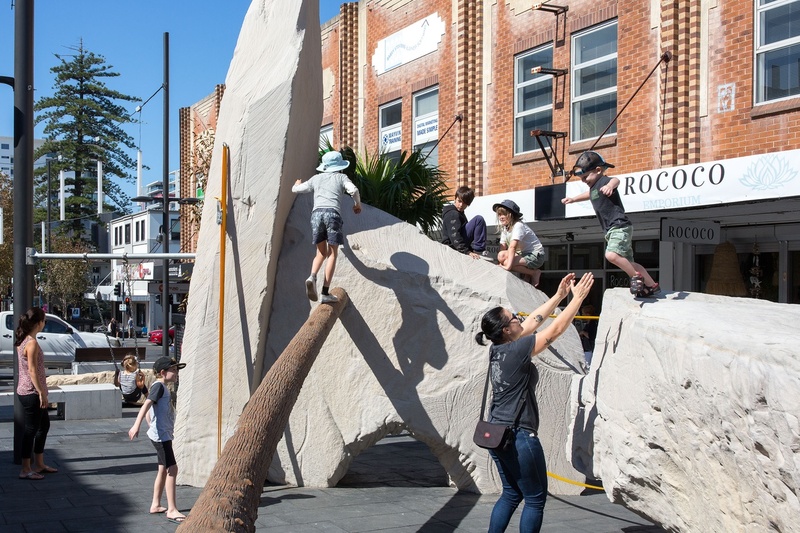 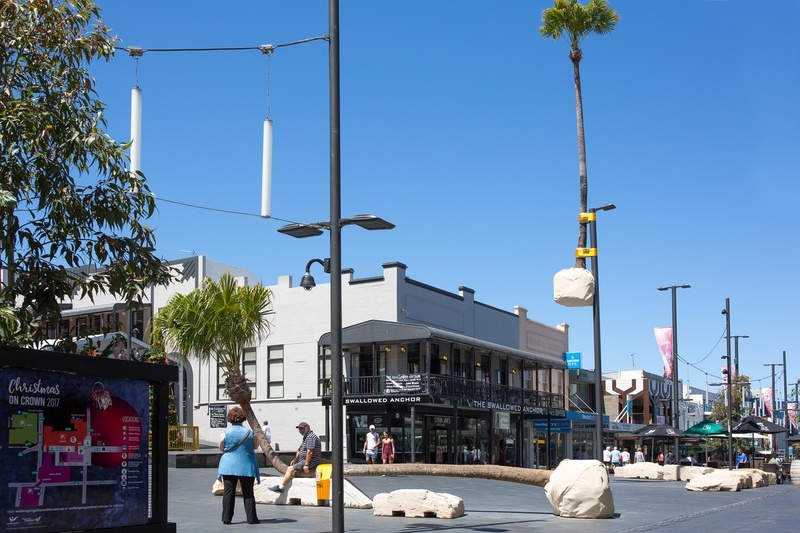 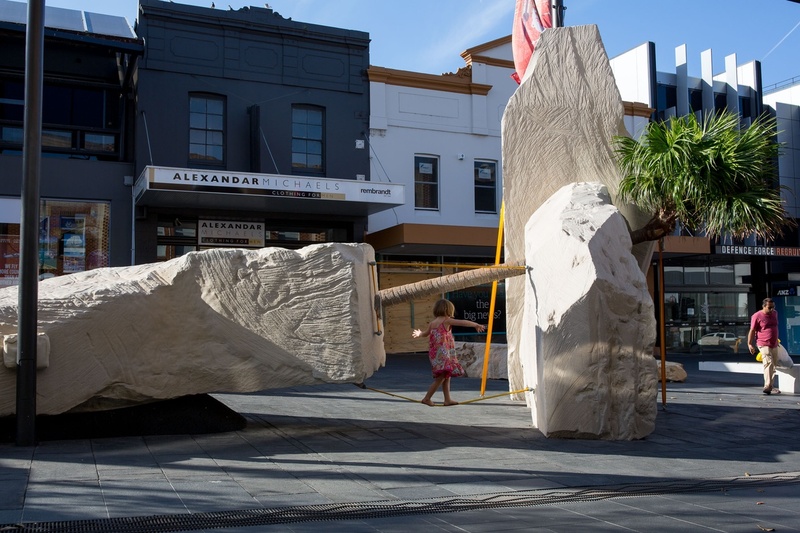 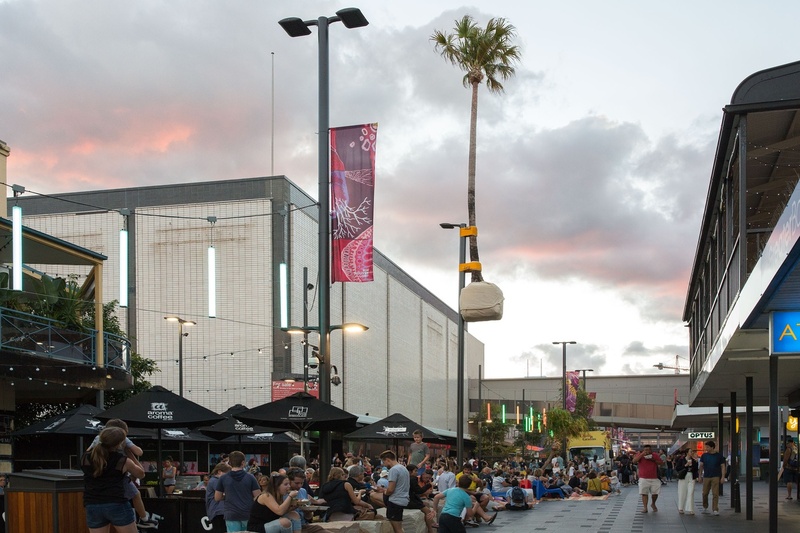 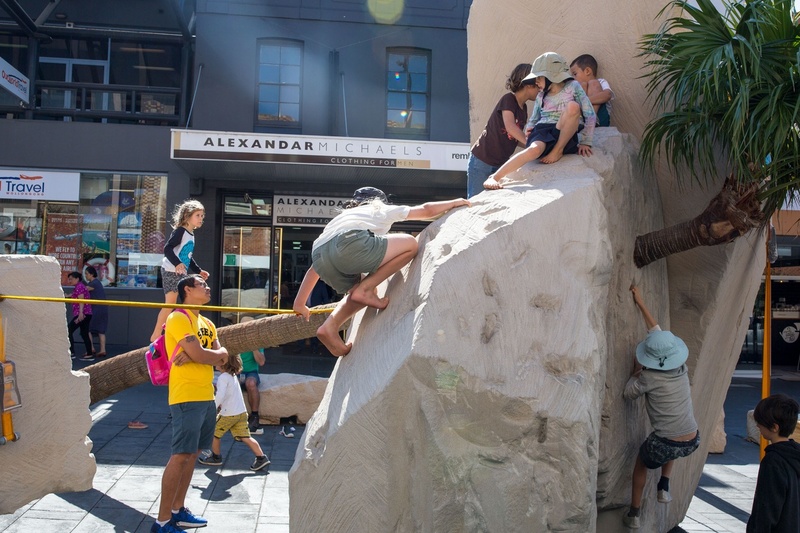 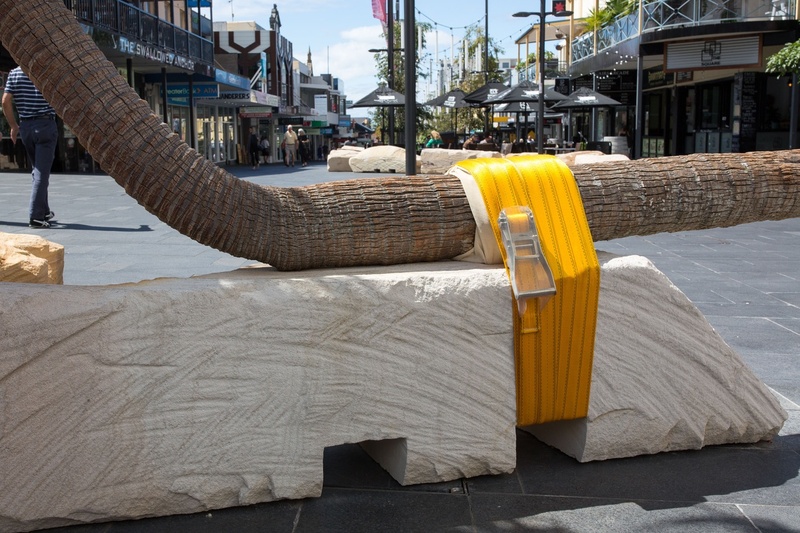 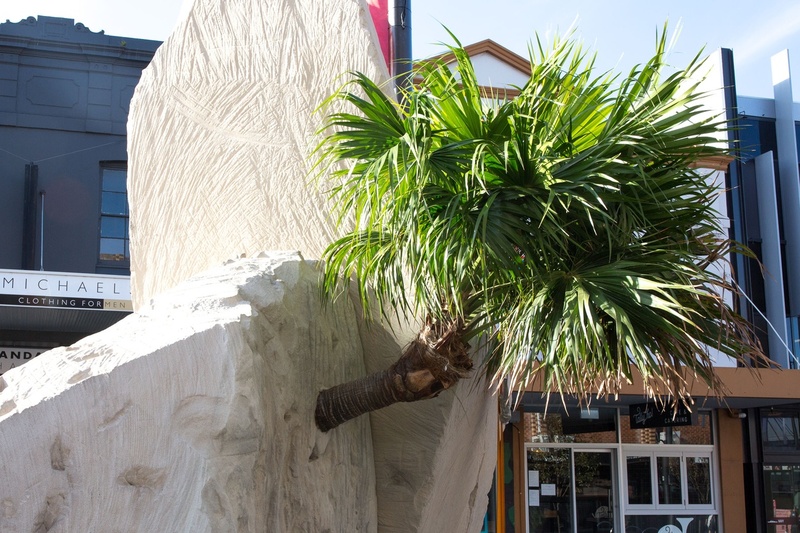 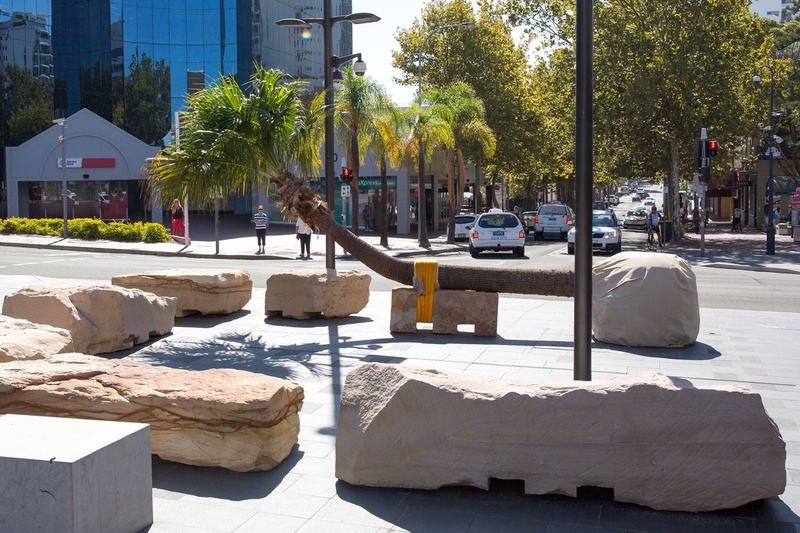 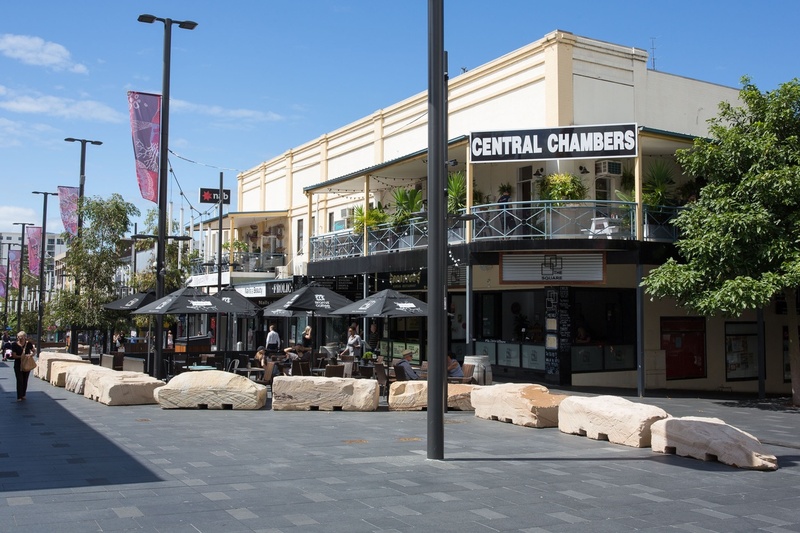 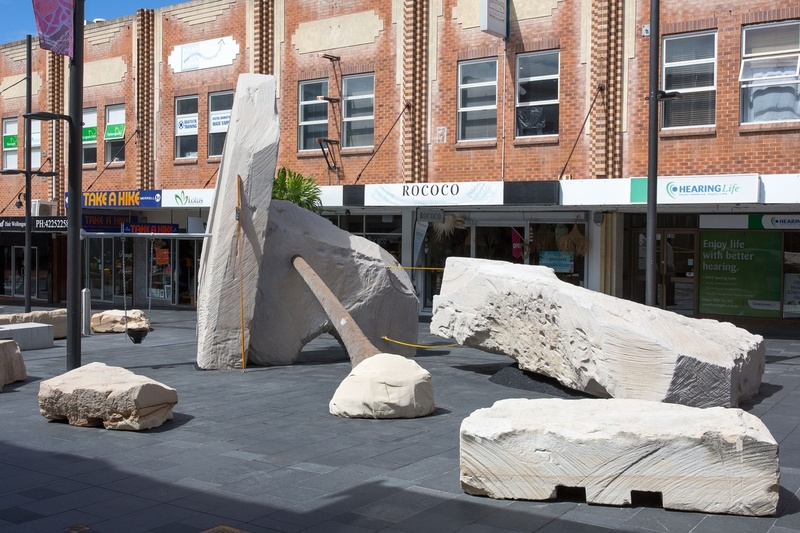 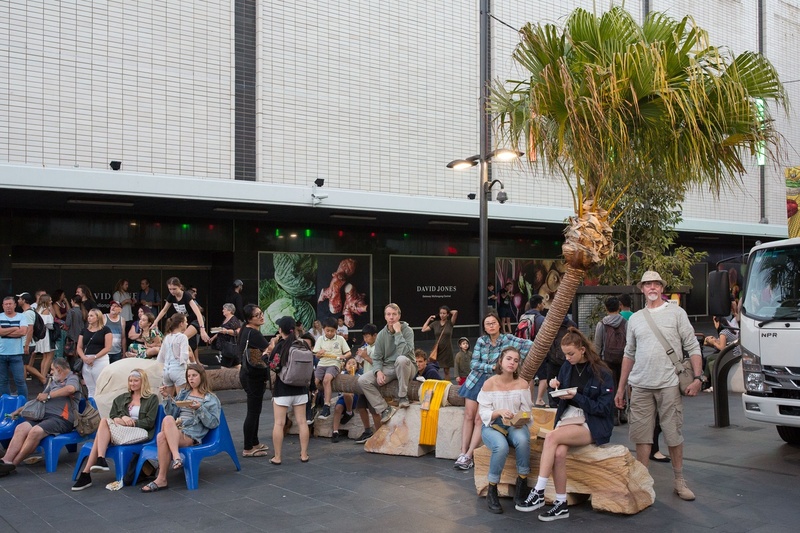 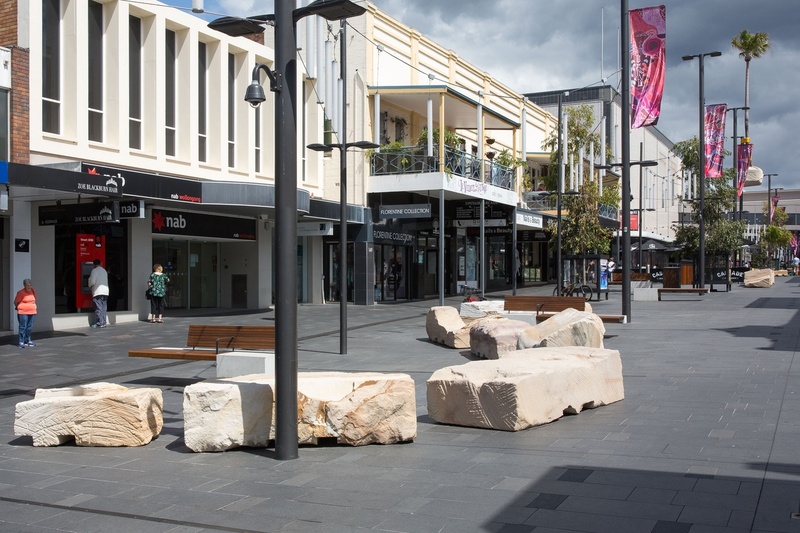 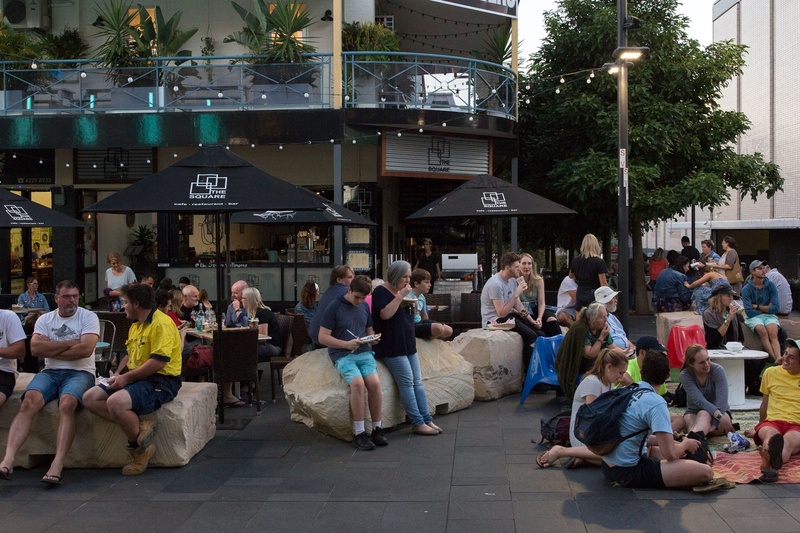 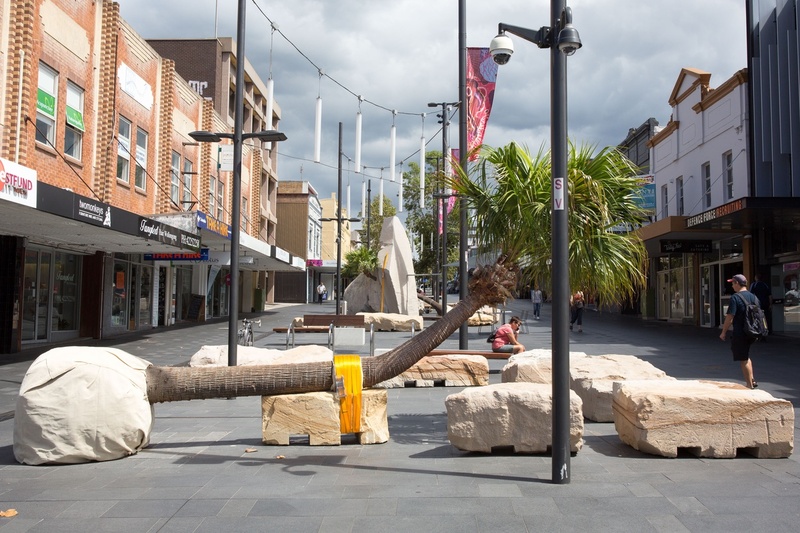 Comprised of multiple elements across a 230-metre expanse of Crown Street Mall Wollongong, Hewson's artwork has been designed to physically and conceptually bring local natural elements into the urban cityscape. 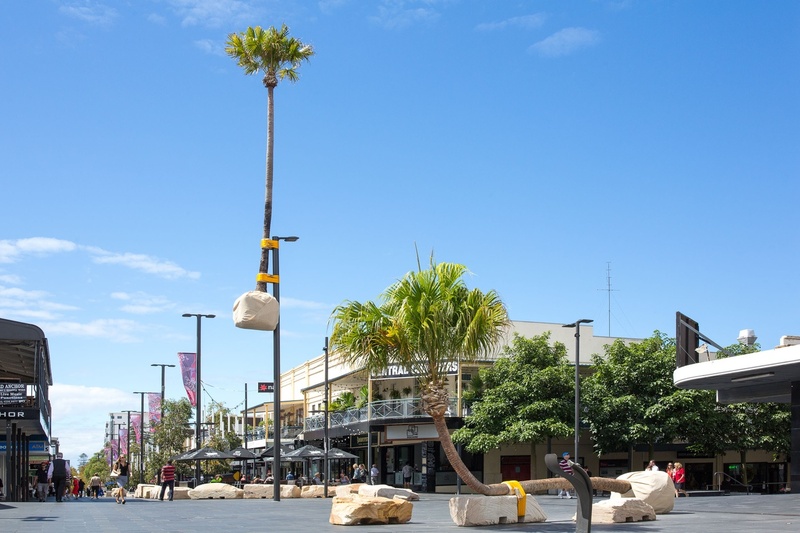 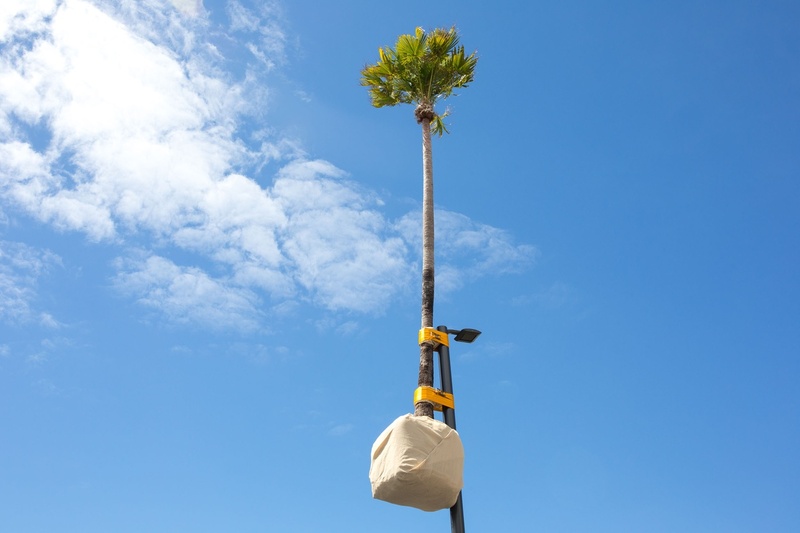 The work includes a 17-metre tall 'palm pole', palm seats, 42 no. 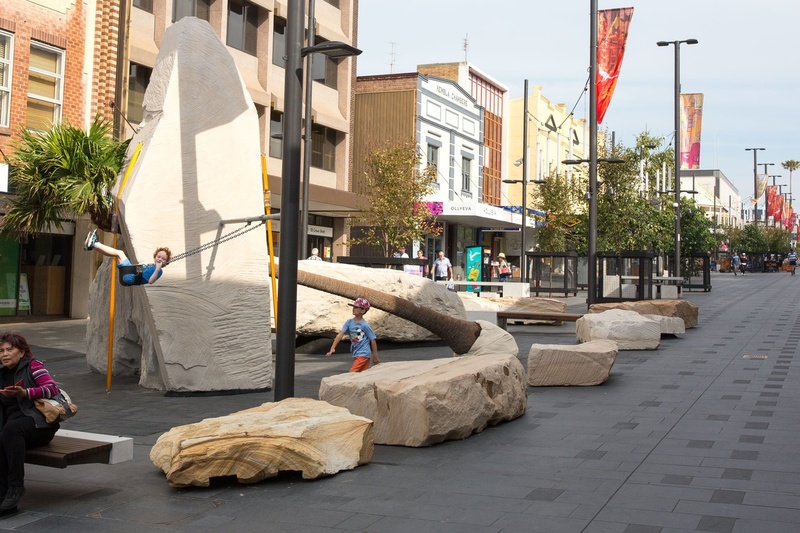 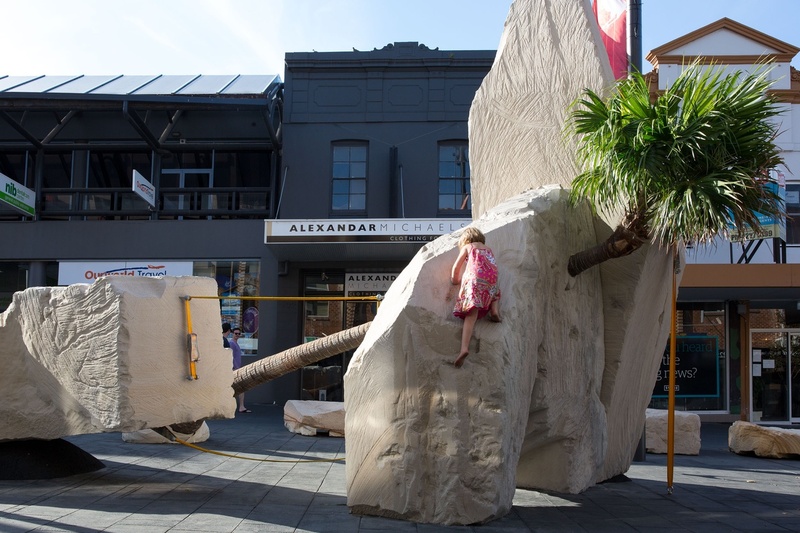 'forklift rocks' and a playground with three substantial rock formations quarried to order from Bundanoon Sandstone. 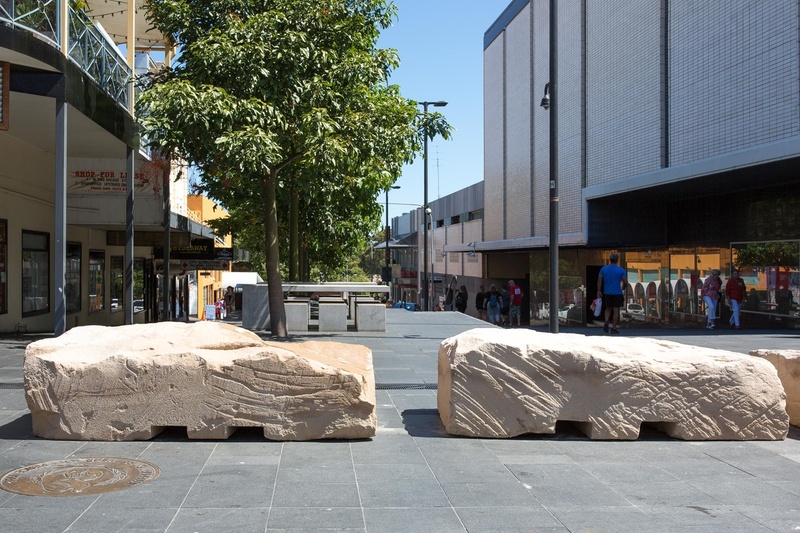 I would like to say a special thanks to Troy Stratti of Bundanoon Sandstone who was an important collaborator and sponsor of the project, without his generous support the project could certainly not have happened. 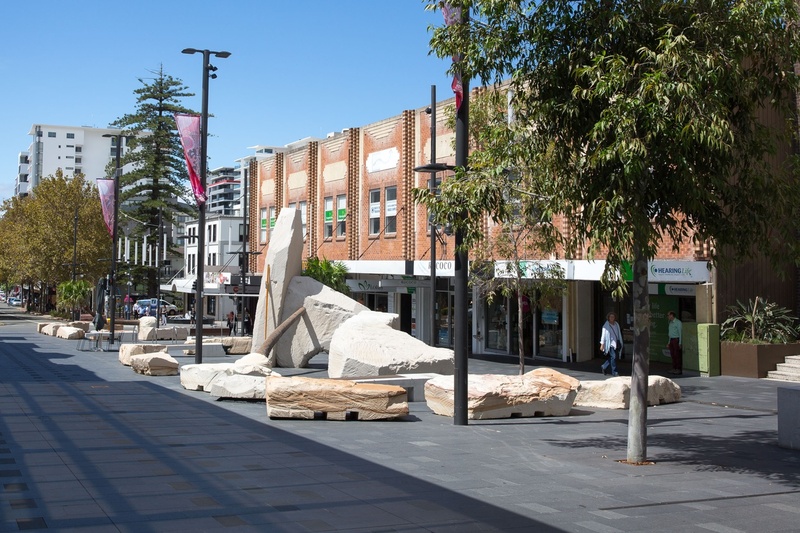 There were a number of other very generous contractors and consultants who donated time and materials to see this project materialise against signifcant odds - thank you so much for your support.